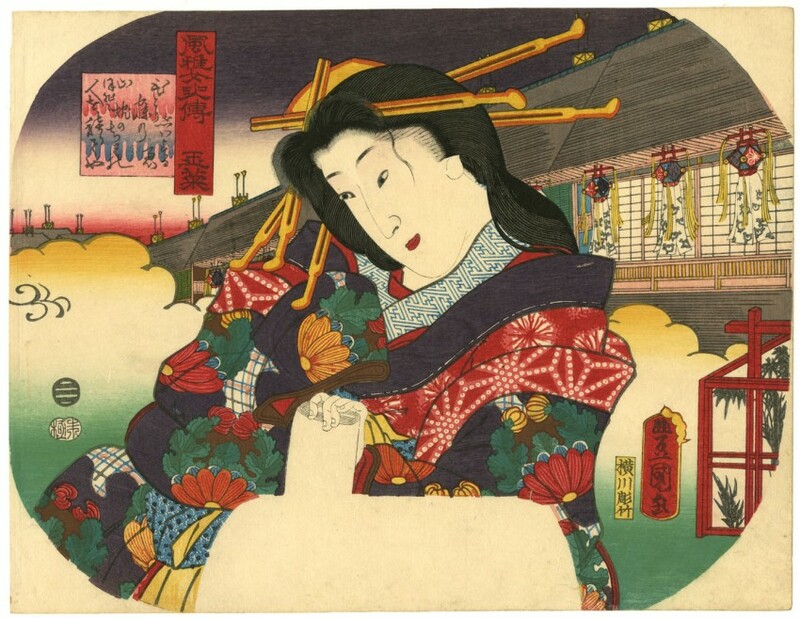 Description: Fan print, Tamana from the series Refined Ladies (Fūga joshi den 風雅女史傳). Published by Ibaya Senzaburō (Dansendō) in 1859. Signed: Signed: Toyokuni ga. Blockcutter: Yokokawa Takejirō (Hori Take). Condition: Fine impression, colour and condition.